Canada’s Chorus Aviation has firmed up an order for nine Bombardier CRJ900 aircraft in a deal worth USD$437 million at list prices. 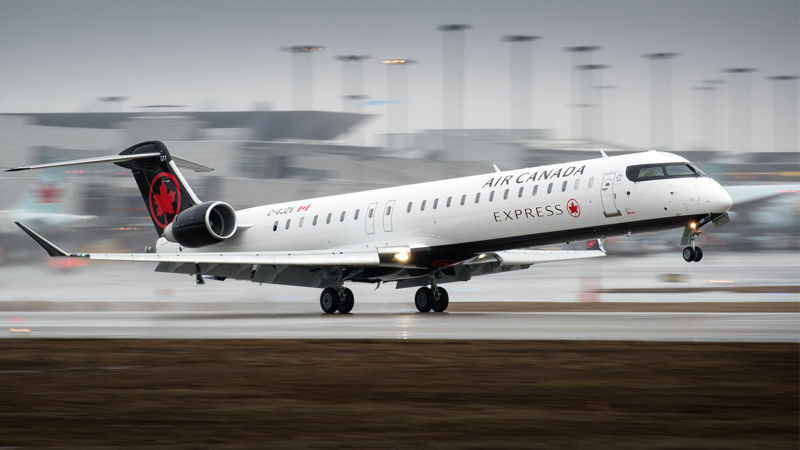 The aircraft will be operated by Chorus unit Jazz Aviation under the Air Canada Express brand. First delivery of the 76-seat CRJ900s is expected next year. Bombardier said the new aircraft will be equipped with the new ATMOSPHÈRE cabin featuring a larger passenger living space, increased overhead bin capacity, and more spacious lavatories. Air Canada and Chorus earlier this week announced an extended capacity purchase agreement for a period of 17 years to the end of 2035. The Canadian flag carrier has also purchased just under 10 percent of Chorus stock for CAD$97.26 million (USD$74.2 million).